In his excellent market history book, It Was a Very Good Year, Martin Fridson tells the story of the year that was in the market in 1915. It remains one of the strongest years on record for the stock market, which was up more than 50%, even though World War I was well underway at the time. Journalists commonly equated the established dividend payout with the return on the stock, giving little thought to possible appreciation. They compared the payout rate directly with bond yields; total return’s day hadn’t yet arrived. 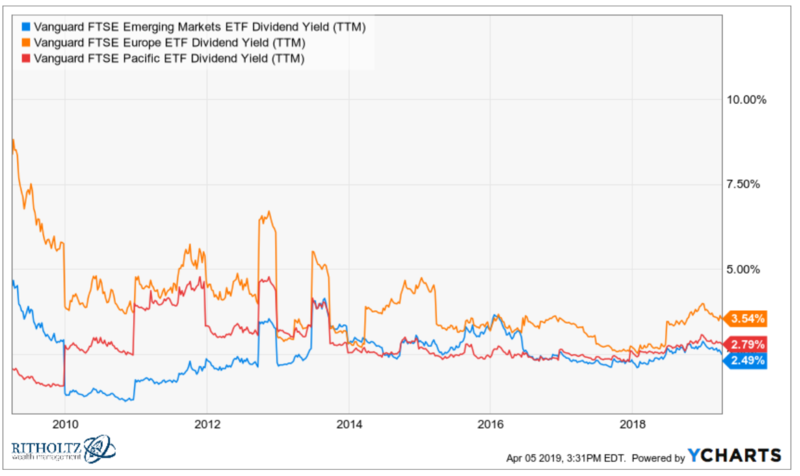 The prevailing orthodoxy held that dividend yields had to exceed prevailing interest rates on bonds to compensate for the greater uncertainty of payment. Not until several decades after the Big Board stopped quoting stocks like bonds would this mindset change. The big changeover came in the 1950s when the dividend yield on the stock market finally dipped under the yield on government bonds. Until the 1950s, when bonds yielded more than stocks it was a clear signal that it was time to get out of the stock market. That relationship broke down and I think one of the reasons it happened is because investors became more comfortable with the capital appreciation side of the return equation. The stock market was maturing as were investors. You can see dividends were still a healthy 3-5% from the 1950s through the 1980s. 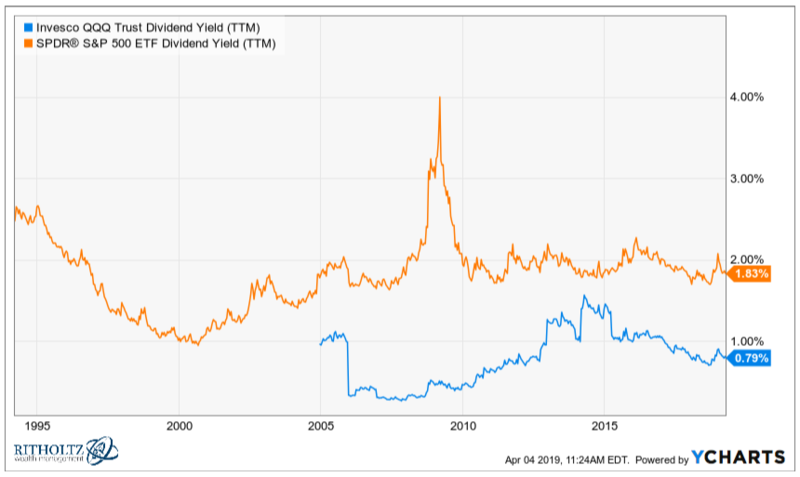 Now you can see a slow progression down in the importance of dividend yields since the 1990s. 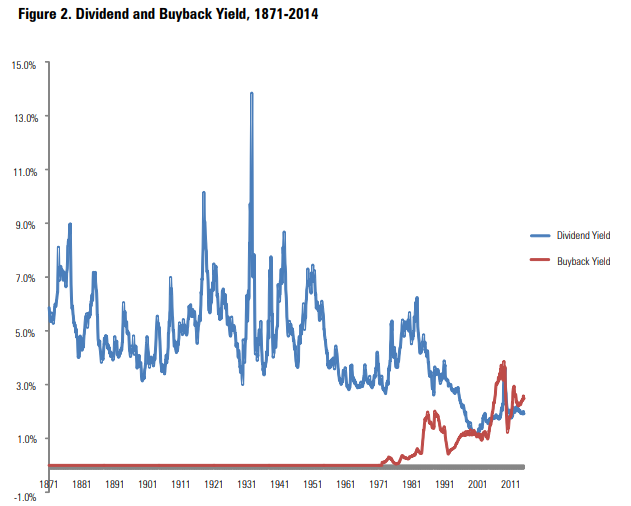 Dividend yields were already beginning to fall but buybacks have accelerated the process as corporations have used them as another way to return money to shareholders. You could claim recency bias here but the Nasdaq has actually beaten the S&P over the long haul as well. From its inception in 1973, the Nasdaq Composite Index has returned roughly 11% per year. In that same time, the S&P 500 has returned around 10.4% annually. Beyond buybacks, one of the biggest reasons for the lower dividend yield on the S&P 500 is the change in sector composition over time. 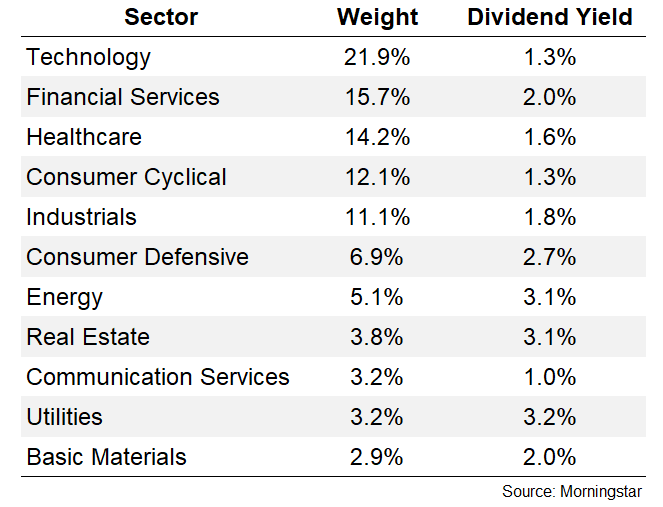 The average dividend yield for the top 5 sectors by weighting (which make up over 75% of the index) is 1.6%. 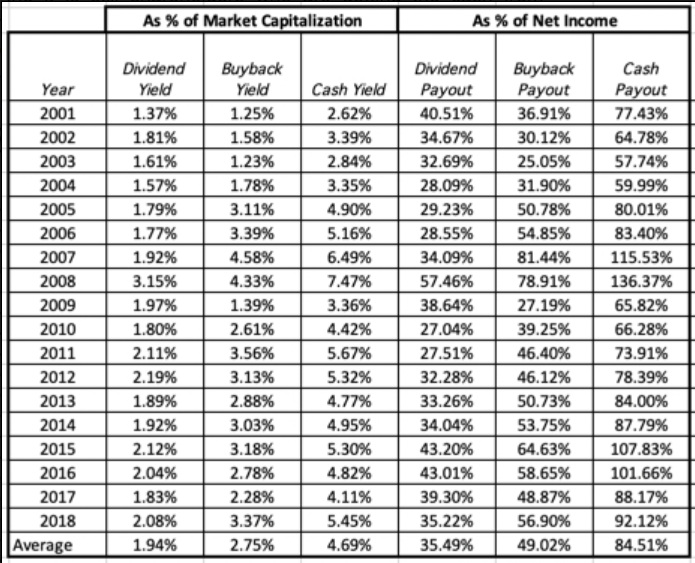 The average dividend yield for the bottom 6 sectors (which make up less than 25% of the index) is 2.5%. This is partly buybacks, partly sectors, and partly the stronger performance in the U.S.
I’m not saying dividend strategies don’t matter anymore; just that dividends don’t play as big of a role in market cap weighted U.S. indexes as much as they used to. 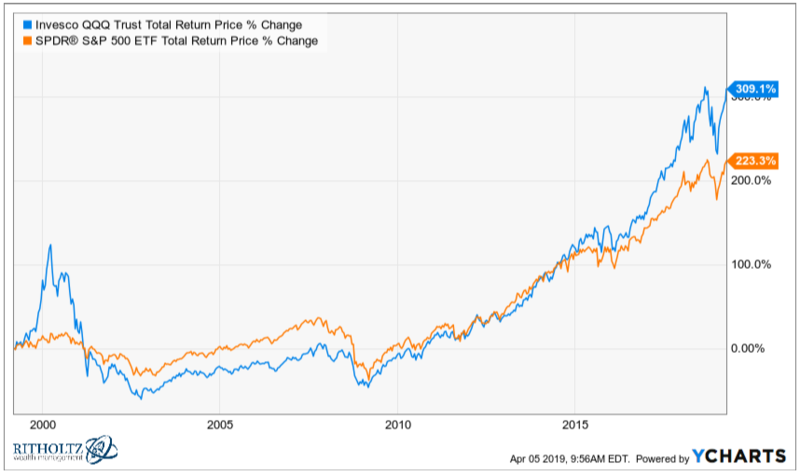 It’s certainly possible dividend-based strategies or even those sectors with higher dividends could do better from here, especially given the strong run in tech stocks over the past decade or so. But it is fascinating to witness the structural changes in the way dividends are viewed over time. In the past, dividends were the only reason investors placed their money in equities. Now, dividends play a much smaller role, for better or worse, in the overall stock market. 1Cue the conspiracy crowd who will complain the market has been manipulated by buybacks.